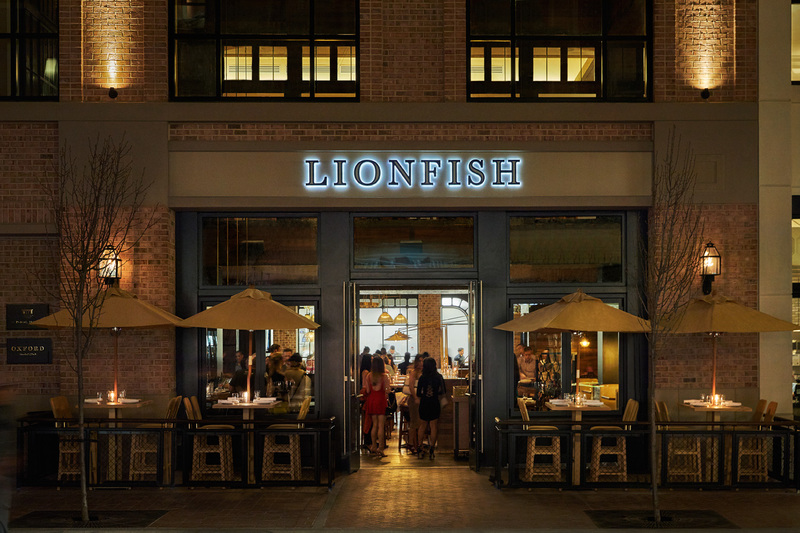 If you’re craving seafood in San Diego’s famed Gaslamp Quarter, there’s no better destination than Lionfish Modern Coastal Cuisine. The Gaslamp Quarter in and of itself is a desirable location…but Lionfish Modern Coastal Cuisine has what might be the best spot in the district. It’s part of the swanky and luxurious Pendry San Diego, the city’s premier luxury hotel. The hotel itself is destination-worthy and draws visitors from far and wide, but it’s beautiful enough that even locals have been known to indulge in a staycation. The property boasts a variety of hotspots, from The Pool House, a rooftop poolside escape, to Oxford Social Club, an attention-getting nightclub featuring A-list entertainment. There’s also a spa on the premises. Have you visited our incredible rooftop yet? Set in the perfect spot to enjoy the twinkling city lights, our rooftop offers not just great views but great alfresco dining as well. 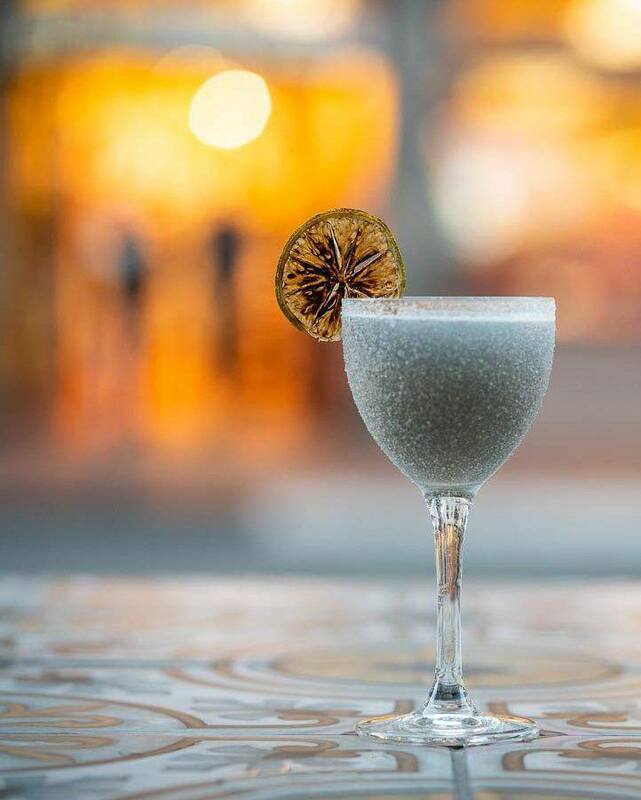 You’ll enjoy a special rooftop menu featuring cocktails, wine, oysters, a variety of hot and cold small plates, and a stellar array of desserts. One thing’s for sure: once you’ve visited our rooftop, you’ll definitely want to come back! Three words: Chef JoJo Ruiz. If you’ve never sampled the culinary art that is Chef JoJo Ruiz’s cooking, then you’ve been missing out. Ruiz’s style is the perfect marriage of simplicity and creativity. Ever reverent of the high quality and fresh ingredients in his repertoire, he strives to let the natural flavors shine through, but isn’t afraid to put his unique twist on a dish, whether it’s one of our hot or cold small plates or one of our incredible entrees. 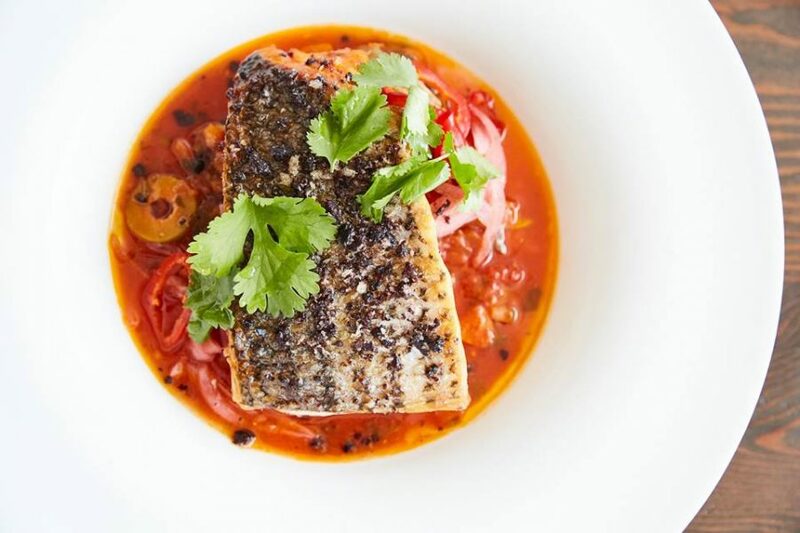 Seafood dishes like our Pan Roasted Swordfish are bound to wow, with freshly caught swordfish that is pan-roasted then served with chanterelles, smoked carrot, puffed quinoa, and saffron butter. black trumpet mushroom sauce, salsify (a parsnip-like root), and garlic and swiss chard. His work hasn’t gone unnoticed: recently, we were recently voted “Best Seafood Restaurant” by the Gaslamp Quarter Association! 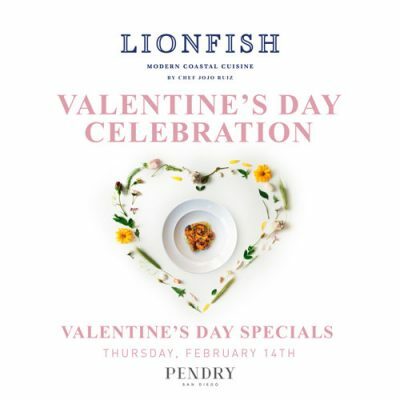 Obviously, Lionfish is an ocean friendly restaurant: we love seafood, and we love preparing it in ways that really wow our guests. However, when we refer to ourselves as an “Ocean Friendly Restaurant,” we’re not just saying that we love seafood. It’s actually an official designation from the Surfrider Foundation, an ocean advocacy group. To attain this designation, restaurants must meet stringent standards of sustainability with materials and packaging in an effort to keep the oceans clean and beautiful. We like to give back to the ocean that gives us so much bounty! You can read more about our Ocean Friendly Restaurant designation in this post. 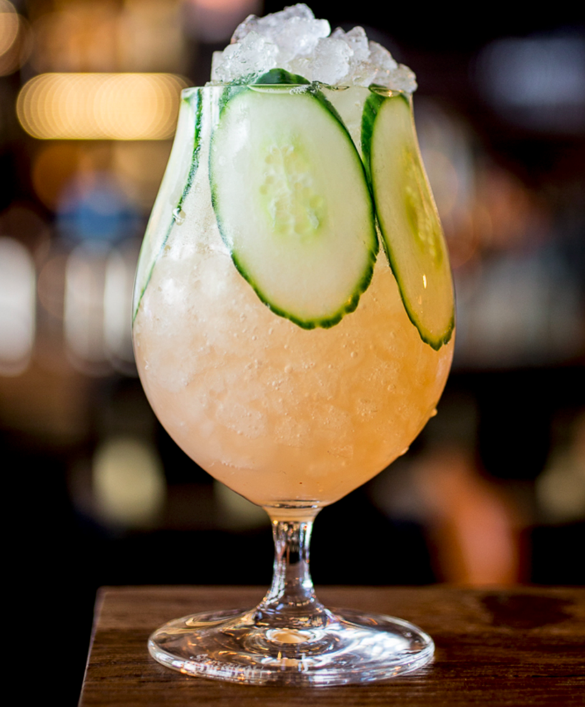 More like happiest hour. Every Monday through Friday, we offer Happy Hour from 5-7pm. During these two blessed hours, we offer select $5 beers, $7 wines, and $8 cocktails. But wait, there’s more: we have food specials, too, including $1 oysters, $8 select hot and cold plates (such as our Crispy Rock Shrimp, made with gochujang and Japanese-style aioli), and $8 hand rolls (including the Spicy Tuna, which is prepared with cucumber, sprouts, spicy aioli, and soy paper). How will you have sweet dreams if you don’t finish your meal with a delicious dessert? At Lionfish, we may be known for our seafood, but our desserts will keep you coming back for more! 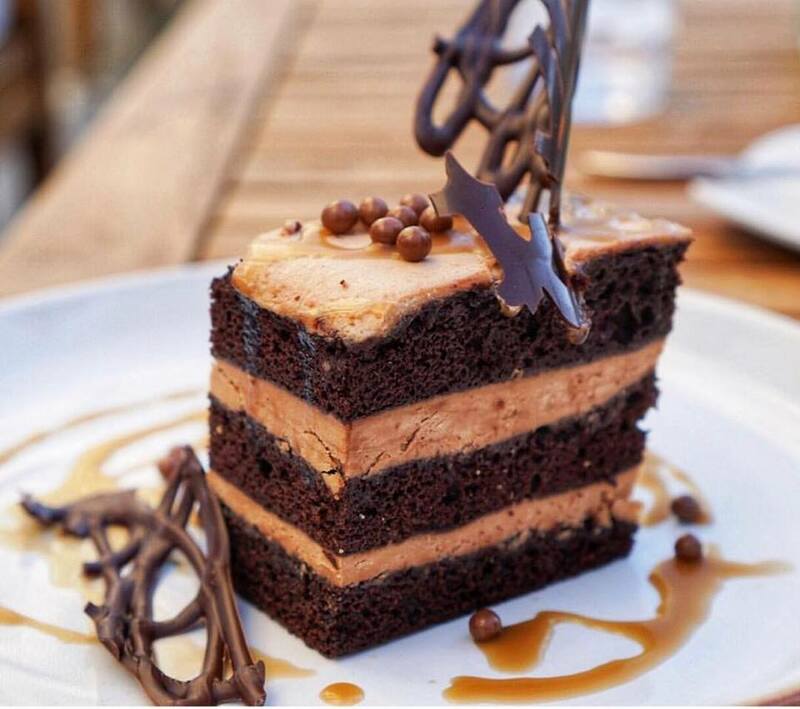 If you think it’s not dessert if it doesn’t have chocolate, then our Layered Chocolate Cake is for you. This beauty is made with butterscotch and chocolate ganache and finished with lovely Carmelia pearls. If you go nuts for pistachio, consider our Pistachio Cannoli, which features St. Germain-soaked berries and pistachio ice cream. If you love caramel, then our Peanut Caramel Tart is perfect pick. This sweet and salty dessert is made with smoked sea salt meringue, peanut brittle and kettle corn, and finished with a generous scoop of vanilla bean ice cream. These are just a few of our dessert offerings: read about all of our them in this post! It’s not hard to see why Lionfish Modern Coastal Cuisine is a destination-worthy restaurant for seafood and so much more in San Diego’s Gaslamp Quarter. From our killer ambiance to our outstanding cuisine and cocktails to our delectable desserts, there are so many reasons to love our establishment. We hope to see you soon so that you can see what we have to offer for yourself! What’s your favorite thing about Lionfish?